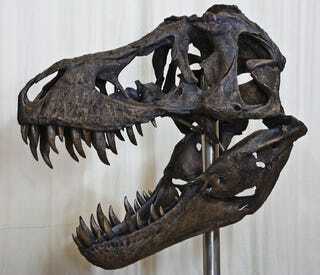 ...and what should greet me from a storefront window, but a life-sized Tyrannosaurus skull! When I finally do have my own science classroom, I will totally put one of these in the room. That, and an understocked planted aquarium.